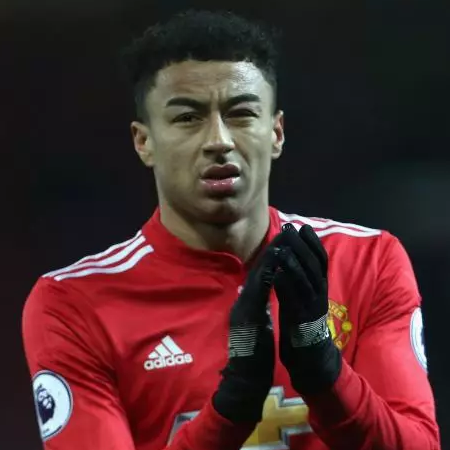 Jesse Lingard is a professional footballer who plays as an attacking midfielder or as a winger for Premier League club Manchester United and the English National Team. Jesse Lingard full name is Jesse Ellis Lingard and he was born on 15 December 1992 at Warrington, England. He attended William Beaumont Community High School. His astrological sign is Sagittarius. 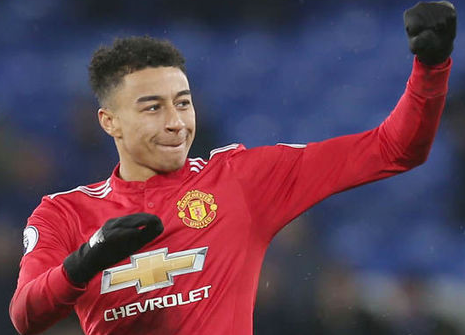 At the age of seven, Lingard joined Manchester United. He was the part of the team who won 2010-2011 FA Youth Clubs. He was included in the senior matchday squad on 30 November 2011 in the league club quarter-final. In 2012-2013 seasons Lingard and his teammate joined Leicester City for a month on loan on 6 November 2012. He made a competitive debut and his loan was extended. To January 3, 2013, and in total he gave five appearances. In 2013-2014 seasons Lingard was selected in the 19-man squad for Manchester United 2013 preseason tour. He scored first two goals in the match. He finished the tour being a top scorer with four goals in many matches. He also joined Birmingham City on a month loan on 19 September. He went into starting eleven for Championship match. Later his loan was extended to 1 January 2014. He was suspended for the last two matches as well. After the extension of the loan, he again returned back to Manchester United. He was made the unused substitute in the match on 11 January. He joined another Championship Club Brighton & Hove Albion on 93-day loan on 27 February 2014. He scored his first goal for the club on 8 April. He played 17 times there and scored 4 goals. In 2014-2015 seasons he scored the third goal in International Championships Cup Final. He made his debut for the club in the first match of 2014-15 Premier League. Later he joined Championship Club Derby County on loan until the end of the season on 2 February 2015. He made his first start on 14 February. In 2015-2016 seasons Lingard scored his first senior goal for Manchester United. He scored five goals altogether in the match for Manchester United in 2016 FA Cup Final. In 2016-2017 seasons he scored the opening goal for Manchester United in the 2016 FA Community Shield. He also scored in 2017 EFL Cup Final. He also signed a new four years contract with Manchester United. Lingard played three times for England at Under 17 Level in 2008 Nordic tournament. He also received a call for the under 21 teams for Nathan Redmond. He came as the winner to score in 2015 UEFA European under 21 Championship group match. He also received a call to full England squad. He also received the calls for World Cup qualifiers. He was named in the 23-man England squad for 2018 FIFA World Cup. He scored his first world cup goal on 24 June 2018 during the second group stage match against Panama by 6-0. Jesse Lingard is in the relationship with Emma Hyde but they are unmarried. His height is 5 ft. 9 in and his weight is 58 Kg. Micheal Keane is his best friend. His net worth is $15 Million. He earns £100,000 a week. His favorite Super Hero is Spiderman and his favorite Musician is Ellie Goulding.